Part two of a two part series on tree trimming explores what time of year you should trim trees. What Time of Year Should You Trim Trees? What time of year should you trim trees? The answer to this question depends on the reason that you’re trimming your trees. You can remove dead or diseased wood at any time, and you can do light tree pruning as well. Another thing to realize is that some species of trees need more tree care than others. There are some species of trees that have very high growth rates. As such, you’re obviously going to need to trim these more than twice a year. Otherwise, the best two times of year to prune trees are winter and summer. Why Should I Prune My Tree in Winter or Summer? When trees go dormant in the winter, unless of course they’re an evergreen, it is easier to trim them with little to no risk to the tree. Pruning during the winter causes your tree to experience a lot of new growth come springtime. If you’re pruning in the winter, it’s best to wait until the coldest part of winter is over. Usually Arizona is coldest from mid December until early January, unless you’re living at higher elevations. As for tree pruning in the summer, it serves a much different purpose. Summer pruning helps you to control and direct the way you want the tree to grow. You usually want to prune right after spring, or right after summer. As we covered in our last article, when you do tree pruning, make sure that you cut at an angle, particularly upward pointing branches, as this will allow water to flow down the tree better. When you’re in doubt about , you’re better off actually calling in a tree care service to help you. Tree services are professionals where tree care is concerned. And if you get a tree service with an arborist on board, you’ll be very safe indeed. This concludes part two of our series. For more information on tree care, be sure to read part one as well. Tags: Pruning during the winter, pruning in summer, summer tree pruning, tree care service, tree trimming, what time of year should you trim trees, why should I prune my tree in winter? Tree Trimming Part 1: How Much Should You Trim? Part one of a two part series on tree trimming explores the frequency of trimming your trees. How Much Should I Trim Off My Tree? As a tree service, we’re often asked by customers “how much should I trim off my tree?” How much you should trim off your tree is only part of the problem. You also want to make sure you’re trimming the right material off your tree.What is the right material? Well, for one thing, if you have dead or dying branches on your tree, you should get them off as soon as possible, unless you are exceeding a certain amount of pruning. 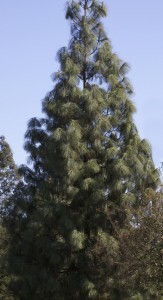 For example, a good figure is 25% maximum of the tree’s total foliage in order to keep the tree healthy. This figure also includes the dead branches as well. Why Can’t I Trim More Than 25% of My Tree? Well, just as continuous bark is necessary for your tree’s circulation, you want to make sure that your tree’s branches aren’t trimmed too far back. Particularly in Arizona, the more branches you have, the more water it will catch during a rainstorm, and the more water the root system will receive. If you trim too many branches off, your tree will not get enough water unless you go to a higher level of watering. Also, the nutrient level will drop. When you do tree pruning, make sure that you cut at an angle, particularly upward pointing branches, as this will allow water to flow down the tree better. When you’re in doubt, you’re better off actually calling in a tree care service to help you. Tree services are professionals where tree care is concerned. And if you get a tree service with an arborist on board, you’ll be very safe indeed. This concludes part one of our series. For more information on tree care, be sure to read part two as well. Part three of our series on lawn care for winter and spring explores the use of synthetic and natural fertilizers. Which Fertilizer Should I Use as Part of Lawn Care? Which fertilizer should you use? Should you use artificial fertilizer or stick with natural fertilizers? How often should you fertilize your lawn? As a professional lawn care service in Chandler, we get asked these sort of questions a lot. First off, artificial fertilizer works just as well as natural fertilizer does, and it doesn’t have that much odor. However, you have to be careful that you don’t put too much nitrogen based fertilizer down, or put any of it down when it is too hot outside. Otherwise, you can scorch your lawn. Before fertilizing as part of lawn care, make sure you check the labels to see what the nitrogen mix is. If you need help, don’t risk your lawn, call in a lawn care service instead. Now, let’s go over natural fertilizer. Is natural fertilizer best? There’s a lot of debate about that. Environmentally, natural or organic fertilizer is a little better than chemical fertilizers, however, what a lot of companies don’t tell you is the downsides to natural fertilizers. Steer manure for example, while it is very effective, will make your lawn stink like a stockyard. Also, some other types of natural fertilizers like compost are only of limited effectiveness. You also have to watch some organic fertilizers as unless it’s screened, you have to be ready to do some weeding, as you are likely to get weeds on your lawn. So, what you have to be careful of is finding the balance between effectiveness and eco-friendly. When you don’t know what to do, you want to make sure that you don’t run the risk of ruining your lawn. Call in a lawn care service if you have any questions. This concludes part three of our series on lawn care for winter and spring. Be sure to read part one and part two as well. Tags: Call in a lawn care service, How often should you fertilize your lawn?, lawn care, professional lawn care service in Chandler, Which fertilizer should you use? Part two of a series on lawn care for winter and spring explores fertilizing and watering. When Do I Water My Lawn in the Winter? We are often asked by some of our lawn care customers: “when do I water my lawn in the winter?” Be aware that in the winter months, you do not want to water your lawn too much. A good guideline to follow is actually based on the temperature outside. A great many cities have water conservation guides that can give you a timetable of how much and when to water as well. The warmer it is, the more you’re going to need to water your lawn. When it is winter and spring however, cooler temperatures mean that water doesn’t evaporate as much. This in turn means that you don’t water as much. Water your lawn every ten days in the winter on the average. Part of the answer is also based on your grass type. When in doubt, call in a lawn care service for tips on when to water. But what about fertilizing your lawn? Do I Fertilize My Lawn in the Spring? You want to fertilize your lawn in the late fall and in the early spring. However, don’t let the season fool you. When to fertilize is based on temperature. You never want the external temperature to be above 85 degrees when you fertilize, particularly if you use chemical fertilizer, as this can cause a chemical reaction and thus burn your lawn. Our next article will cover the great debate regarding fertilizers: synthetic or artificial. Until then, if you need any lawn care tips, feel free to contact us. This concludes part two of our series on lawn care for winter and spring. Be sure to read part one and part three as well. Part one of our series on lawn care for winter and spring explores care of Bermuda grass and perennial rye seeding. Bermuda grass is used a lot in Arizona, and it makes sense if you think about it. Bermuda grass is very much a warm climate grass. Lawn care in the winter months is a bit different in Arizona as a result of this. First off, be aware that Bermuda-grass lawns go dormant in the fall. Establish your lawn least one year before perennial ryegrass overseeding. to keep your Bermuda grass lawn healthy, only plant a winter lawn once every three years. 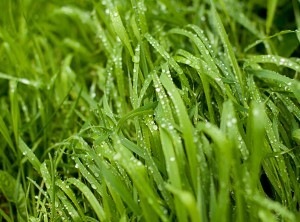 You want to mow your grass down to between 1/4th and 3/4 of an inch in height, which will allow room for rye seedlings. Once evening temperatures are lower than 65 you want to overseed with perennial rye grass, approximately 10 lbs for 1,000 square feet. Call in a lawn care service in Phoenix or apply the seed with a spreader. Instead of overseeding your entire lawn, focus on one area, such as the front lawn. You want to reduce how much you fertilize and water your Bermuda lawn at this time of year as part of good lawn care so it will go dormant quicker. 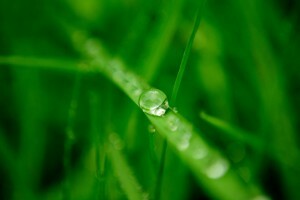 Our next article will explore fertilizing tips and water for your ryegrass lawn. Once you have overseeded your lawn, you either want a ground cover, or you want to make sure that your grass seed is covered by a bit of potting soil, otherwise, you are going to lose a lot of your grass seed to any migratory birds who want a snack. During winter, it is time to start planting the things you want to see in the spring. And one thing you want to start at this time of year is winter lawn care. This concludes part one of our series on lawn care for winter and spring. Be sure to read part two and part three as well. Part three of a series on getting a landscape remodel Phoenix, explores rock garden installation in time for the spring. Why does a rock garden work as part of landscape remodeling in Phoenix? First off, there is aesthetics. 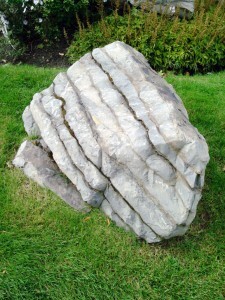 Rock gardens look natural, and add a touch of nature’s beauty to any garden. Second, as rocks make up part of the garden, there aren’t as many plants used, which makes watering easier. Another thing that’s a nice touch about rock gardens is the fact that they don’t just make a garden, they make a mini ecosystem. Plant some xeriscape plants like a hummingbird plant, or any other plant that will draw pollinators. You will see bees, butterflies, and birds gathering around your rock garden which adds a charming touch to either a front or back yard. In Arizona, you can even get boulders that have a pretty aqua vein of chrysocolla. 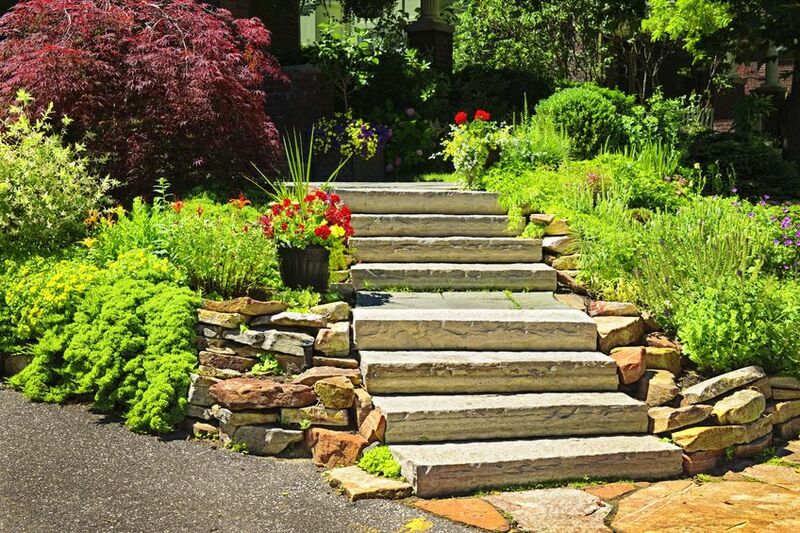 Rock gardens with plants can still offer a relaxing and beautiful space. You want to call in a service for this particular landscape remodel Phoenix. Rock gardens take a lot of work to set up. You want to pick the right size rocks, as well as the plants that will work between them. Make sure that your design has the right amount of drainage as well as your soil level. Once you set up your rock garden, how much work does it need? Landscape remodeling in Phoenix is easy with something like a rock garden. They require very little work. A bit of trimming once in a while, and a bit of weeding is all the maintenance. Watering is usually easy as well. So, there are many different ideas out there. If you want some advice, or have any questions, please call in a pro: a service that can help you with a landscape remodel Phoenix. This concludes part three of our series on getting a landscape remodel Phoenix. Be sure to read part one and part two as well. Tags: landscape remodel Phoenix, landscape remodeling in Phoenix, landscape remodeling Phoenix, Plant some xeriscape plants, rock garden, rock garden installation, Why does a rock garden work as part of landscape remodeling in Phoenix? Part two of a series on getting a landscape remodel Phoenix explores ideas for spring. What flowers should you plant in the spring? Well read on to find out! Landscape Remodeling: What Flowers You Should Plant in the Spring? First off, it is fall, slowly entering into Arizona’s all too brief winter. 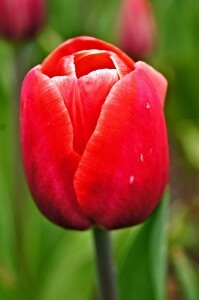 Right now, you want to think about planting bulb flowers such as tulips, amaryllis, crocuses, and irises. You want to make sure that the last of the frost is off the ground. Most bulbs that you buy in a garden shop were probably dug up in the early summer. As long as they are not withered, and look full and plump they’re ready for planting. Be sure to get your bulbs into the ground as soon as possible. Storing them out of soil too long cause them to wither and die. When in doubt call in a landscaping service for a landscape remodel. They’ll be able to plant them for you as well as tell you some pointers. One such tip for a landscape remodel Phoenix is to put your bulbs on top of the ground and surround them with a mound of potting soil kept in place with a bit of chicken wire. In the spring, remove the chicken wire, and after your blooms have gone, wait about 4-6 weeks and then cut the stalks up and dig up the bulbs. However, it isn’t just bulb flowers that you want to plant in the spring. You want to start looking at seed too. As landscaping pros, we are kind of ambivalent about seed planting. So many times, when customers are keen to do a bit of landscape remodeling, they cut open a seed pack, and plant the seeds hoping for a bunch of pretty flowers, just like what’s on the package, only to have nothing happen. A lot of seeds are rip offs. A good way to get seeds started is to either put them into pots, or soak them for up to a week before you plant them, depending on the species of course. Some seed based flowers however, just will not grow in Arizona. Even though the back of the packet shows that you can grow them here, ask around. And again, when in doubt call in a professional service for a landscape remodel Phoenix. This concludes part two of our series on getting a landscape remodel Phoenix. Be sure to read part one and part three as well. Landscape Remodel Phoenix Part I: Is it Time to Remodel Your Landscape? Part one of a series on doing a landscape remodel phoenix explores reasons why you should look into it. Why Should You Remodel Your Landscaping? Why should you remodel your landscaping? Well, for one thing, starting any sort of remodeling project is a proven morale booster. In Arizona, winter is very brief. Wouldn’t spring be even lovelier with a bunch of new flowerbeds or maybe a rock garden? To decorate your home’s landscape helps to make your house a home, and not merely a place to live. A lot of times, people become focused on interior design, and forget that their yard is part of their home too. Landscaping sends a message about who you are. A well trimmed and weeded lawn says to the world that you like order and structure. Flowers say you love beauty. So in a way, landscape design is a form of communication. But what if you don’t have any ideas? You might want to call in a service for landscape remodeling. Why? Well, they can help you pick plants that are ideally suited for Arizona’s climate, and even help you to group common plants together. They can also help you come up with ideas such as a cobblestone patio and a fountain. They can also help you determine what would work in your front yard, and what’s best in back of your home. A fountain in the front yard, for example, is an invitation for vandalism or kids putting detergent in it. A truly professional landscape remodeling service will also work with your budget to get a balance between what you would like and what you can afford. So, remember, spring is around the corner, and it will be here before you know it. So, make sure you take advantage of it and get a landscape remodel Phoenix today. This concludes part one of our series on getting a landscape remodel Phoenix. Be sure to read part two and part three as well. Tags: call in a service for landscape remodeling, decorate your home's landscape, landscape remodel Phoenix, why should you remodel your landscaping? Part three of our series on sprinkler repair explores what could happen if you don’t repair your sprinkler in Avondale. Sprinkler repair in Avondale, AZ helps you to avoid more than just a flooded flowerbed or a soggy lawn. It also helps you to avoid an escalating series of problems. Let’s start with your neighbors. Put yourself in their shoes for one moment. If you were them, how would you like your yard flooded every time one of your neighbors turns on their sprinkler? You probably wouldn’t. In fact if you get mad enough, you’re probably going to complain. When the complaint comes to you as a homeowner, at that point, you are not in that much trouble. You just call in a sprinkler repair service and voila, the problem’s solved. Where you run into problems is if you don’t do anything about the problem and it escalates. As to how it can get worse, read on. Love them or hate them, there are plenty of home owner associations (HOAs) in Avondale. As a result, you have to keep up your property, and if something on your property is affecting someone else’s property, such as a broken sprinkler, guess who is in trouble? Look up the terms of your HOA. You may have to pay a fine to them for your sprinkler repair, and if you keep flooding someone else’s property, you could find yourself sued by your neighbor. And what’s worse, the city and in some cases the county can also fine and/or sue you. All of which could have been avoided if you had just called in a sprinkler repair service in Avondale. As to how much water one broken sprinkler head can spill, consider if you will. Sprinklers are under pressure, which means that it is very much like a high pressure hose. 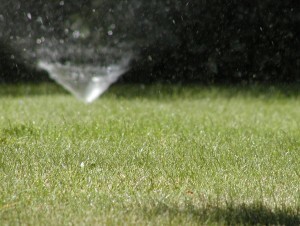 You can easily have a broken sprinkler spill a dozen or so gallons of water in mere minutes. So hopefully you now see. Sprinkler repair in Avondale is much cheaper than the alternatives. Part two of our series on sprinkler repair explores what to do if your sprinkler breaks. Picture it if you will. You’ve got the windows open. You’re enjoying the fall weather, then you hear the sound of water running. You check through the house. No one left a sink on. Then you see it out the window, the dreaded yard fountain. You have a broken sprinkler. Do you know what to do if your sprinkler breaks? First off, stay calm. Go find the shutoff valve for your water. It will be on the outside of the house, near the garden spigot. Switch it off. Now, go and take a look at your sprinkler system. See if there is more than one leak. Then call a sprinkler repair service in the Surprise area. Don’t try to fix your sprinkler yourself. We get it. You want to fix your problem and you want to save money. However, if you don’t know what you’re doing, then you can make your problem into a much worse problem. Sprinkler systems are under pressure, and as such, everything has to be properly fitted and installed. If not, what was one yard fountain could be two or even three fountains. And you could find yourself in a world of trouble, and not just with your neighbors. The next part of this series will explore the trouble a broken sprinkler can cause. 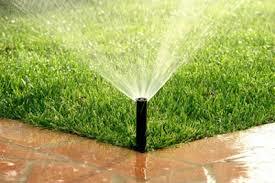 For now, all you need to know is that you want to call in a professional sprinkler repair service in Surprise. This concludes part two of our series on sprinkler repair. Be sure to read part one and part three as well. Part one of a series on sprinkler repair services explores why you should get it done this fall. Whatever you do, don’t ever try to do sprinkler repair in Tolleson by yourself. A lot can go wrong if you try. The fall is actually a good time to get your sprinkler looked at. Most sprinkler systems are made of one of three materials: metal pipes, PVC, or some combination of both. And both materials have their pluses and minuses. PVC is a plastic, and is fairly resilient and tough, particularly if it’s buried underground. PVC is also very inexpensive to purchase and install, which makes it desirable to a lot of homeowners. However, in Arizona, PVC can become brittle when exposed to the high summer temperatures. That leads us to our next option which is metal pipes. Metal sprinklers are a bit more pricey, however, Metal pipes are a bit sturdier, however, over a period of years or decades, they can suffer from metal fatigue, and eventually start to experience trouble as well. As sprinkler systems whether metal or plastic are under pressure, the expansion and contraction of pipes with temperature changes can put a strain on the pipes until finally, whichever the weakest point is will give out. At that point, you have no choice but to call a sprinkler system repair service in Tolleson to fix the problem. As to why, it’s all too easy to mess up a system. One fixture not properly attached can cause your sprinkler to literally pop a fixture. So if you need to repair your sprinkler, call in a professional service. Part three of our article series explores a fascinating concept: edible xeriscape plants. Yes, you read that correctly. As we said in an earlier article, most people think of a cactus when they think of xeriscaping plants. They’re spiny and have pretty flowers, however, but can you eat them? Absolutely. So, let’s start there. A lot of people know that the fruit of the prickly pear cactus is edible, and that it is made into a lot of different products including candies, jelly, and even wine. The pads are used to make nopalito, which is often eaten for breakfast. What a lot of people don’t know, however, is that the fruit of the saguaro cactus is also edible. The fruit are a bright red, ripen in June, and are harvested by many local tribes, including the Tohono O’odham. 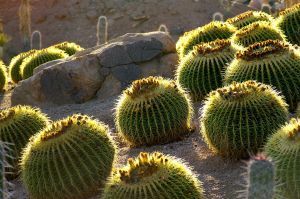 A cactus garden can include a saguaro cactus, however, be prepared to pay a bit for one. A saguaro cactus doesn’t grow arms until it is 50-75 years old. And even a small saguaro can be about $200. Cacti, however, aren’t the only plants that pop up in xeriscaping. Many herbs thrive in hot and arid climates like Arizona, so they’re perfect for xeriscaping. Marjoram, oregano, thyme, basil and rosemary are just some of the herbs that do well here. Hmm. Anyone want some nopalito parmesan? There are a lot of veggies you can grow as part of your xeriscape landscape design including onions, garlic, radishes, broccoli, and cabbage. Okra grows well here, as do canteloupes as well. But what about the fruit? Well for one thing, figs grow very well in Arizona. So do Asian pears, loquat, and persimmons. The most surprising xeriscape fruit that grows here are blackberries. So as you hopefully have seen, xeriscaping is so much more than just a cactus and a yucca. This concludes our three part series on xeriscaping. Be sure to read part one and part two as well. Part two of our series on xeriscaping explores the types of plants that you can use. Be sure to read part one of this series as well. Most people don’t know what xeriscape plants to use. Or they often think that their only choices are cacti or plants such as yucca. While these are obvious choices, there are a surprising number of plants that you can use from ground covers all the way up to trees. Some plants are indigenous to Arizona, while others come from climates that are very similar. Sand verbenas for example are a lovely flower that can come in vivid yellows or rich lavenders. Aloe vera is often mistaken for a cactus, however, it is actually a type of succulent and it is found all over the world. Aloe is a unique plant as it is ornamental plant with medicinal qualities. Why do you think that so many sunburn treatments are made with aloe vera, the same with so many lotions. Aloe vera has beautiful flowers that a lot of pollinators such as hummingbirds and bees love, and as it is a succulent, it can thrive in places like a xeriscape garden. Another type of plant that works well in dry landscaping surprisingly are lilacs. Lilacs are very drought tolerant, and bloom once a year. In our last article, we discussed the economic benefits of planting a dry landscape, however, if you’re savvy on your plant choices, you will be able to create a beautiful garden spot and not use a huge amount of water to do it. There’s no such thing as plants that don’t need water, however, you can get drought tolerant plants that allow you to stretch watering farther. The Arizona Department of Water Resources has a booklet of over 19 pages of xeriscape plants that you can find at most local nurseries. There are lot of choices out there. Sometimes they can be bewildering. If you need help, call in a landscaping expert. Xeriscaping makes sense for where we live. Arizona is a part of the Sonoran desert. Water obviously is a precious natural resource. The population of Ahwatukee, like all Valley cities is increasing. As more and more people relocate to the Valley of the Sun, demands on our aquifers are increasing exponentially. Prices go up the more people want something. Water isn’t an exception to this rule. Your water bill can be lowered by using xeriscaping effectively, however. What is xeriscaping? Dry landscaping or xeriscaping is a method of landscape design using drought tolerant plants. When you mention it, nearly everybody equates it with desert landscaping. However, the term xeriscaping is more about water allocation. 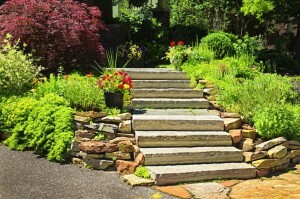 There are different tricks of using xeriscaping principles in your landscape design. One of the core concepts of xeriscaping is to group plants with similar water needs together to reduce water consumption. When you reduce your demand for water, guess what? You also reduce your water bill. Conserving water to save money is a great benefit, however, that’s only one reason for xeriscaping, Another one is trying to live green. Is xeriscaping environmentally friendly? Absolutely. Because you are using plants that require less water, it helps in the fight against desertification. Another reason you may want to do xeriscaping at your home or business is that it also helps to stop the spread of invasive species. If you want some inspiration, look up kudzu and see what it’s done to the South. It grows a foot a day. We don’t have that here, however, we do have plants that people plant such as nasturtiums and African daisies which expand aggressively and can choke out other plants. When you’re in doubt, call in a landscaping service to help you pick your plants, which will also be our next topic. Tags: convert your landscaping to xeriscaping, desert landscaping, the core concepts of xeriscaping, using xeriscaping principles in your landscape design, xeriscaping, xeriscaping environmentally friendly? What flowers should you plant in the fall? Well, it can be summed up in one word: bulbs. Perennial Flowers: How Long Do They Last? 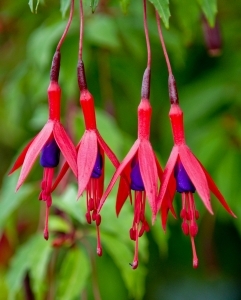 A perennial can live for up to two years if you leave it in the ground. You can also make it last a lot longer if you cut the stalks off after blooming, and dig the bulbs gently out of the ground, and store them until fall. If you want to do this, make sure that you don’t pull the bulbs. What flowers to plant in the fall is also determined on what flowers will actually grow in Arizona. Even seed catalogs that list our region as one of the places where flowers grow may not be accurate. 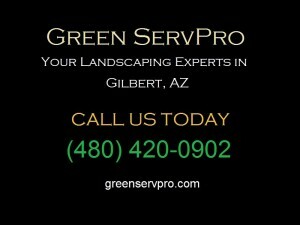 When in doubt call a landscaping service in Chandler. Tags: fall flowers, irises, landscaping company, landscaping service in Chandler, perennials, tulips, What flowers should you plant in the fall?